If you have dropped by this German Shepherd blog to gather some information about German Shepherd DOg breed, you need to know many things about it. You will probably find your desired info here. Take a tour throughout this blog, but beforw that you can watch out a coulpe of videos that has been shot to educate on GSD movements. 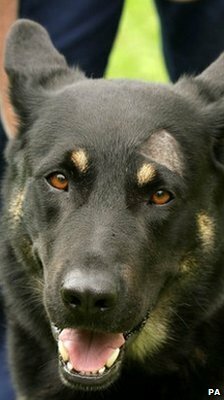 Click on German Shepherd and you will be redirected to "About German Shepherd Dog" - the largest online resource for information on German Shepherd DOg breed. You can get in touch with a few top GSD Twitters and follow them on the Twitter to know what they are up to and how they maintain their dogs... Click Here! 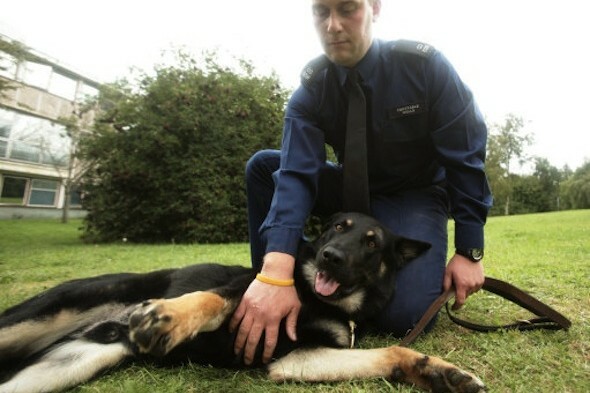 The three-year-old German shepherd Dog Obi was on his duty with his handler Constable Phil Wells on the front line in Tottenham. 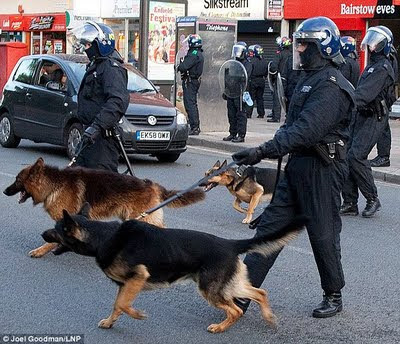 Obi and his handler experienced a real life threatening phase amidst the mob where people were throwing bricks and bottles aimlessly. One of such items struck Obi in his head, badly cracking his skull right above the left eye. PC Wells said, "I have never experienced stuff coming at us from all sides like that before." 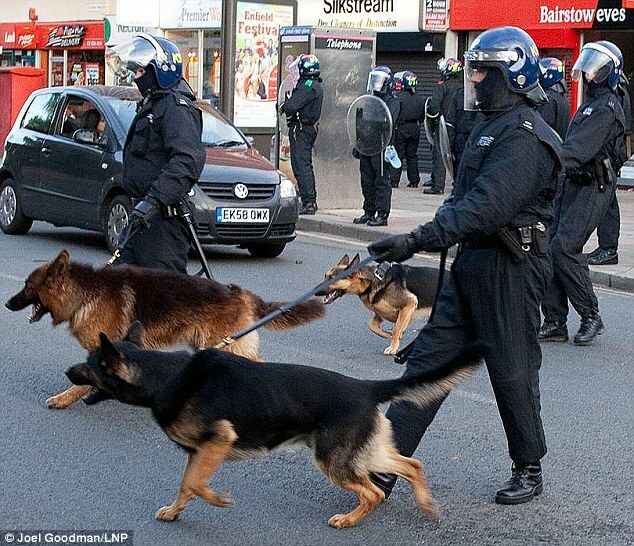 PC Phil Wells said, "Obi is trained in public order, and that may be dispersing a crowd or pushing them back. We were on a stationary point when we came under heavy bombardment. There were lots of missiles coming at us, bottles, bricks, petrol bombs, street furniture, too many to count and one hit Obi on the top of the head. Initially he was a bit shocked but I gave him a checkover and tried to avoid any further injuries and after the initial shock he seemed fine so we carried on for another couple of hours. Afterwards he was assessed and and was showing signs he needed veterinary help. He was lethargic and was bleeding from the left nostril which could be a sign of head trauma so he was taken to the vets and assessed and the vet was not happy about the impact he had had so he was transferred to the Royal Veterinary School in Cambridge for a CT scan." Obi may take several months to recover completely and become fit to be on the duty again.